Good endodontics requires excellent assessment preoperatively and well as operatively. Traditionally radiographic assessment has been relied on but this has limitations such as superimposition of structures and its inability to diagnose active disease. Only past disease for example leading to the erosion of bone can be visualised. It has no correlation to real time. Computerised tomography (CT) scans have aided the practitioner’s ability to diagnose and now they are available for small sections thereby using a lower dose . Digital radiography has also improved diagnosis allowing for magnification and contrast. The use of microscopes and specialist training have improved the predictability of treatments allowing a realistic prognosis for the tooth to be made prior to root treatment. Schilder in 1967 was the first to draw to the dentists attention the complex anatomy of the root canal. The presence of lateral canals, fins, anastomoses, deltas and additional canals make the process more complicated. Indeed 90% of cases in upper molars have a second mesiobuccal canal which is easily missed. Vertical root fractures render root treatment inadvisable but often these are difficult to diagnose as are the degree of calcification and curvature of the canal. Another problem is recontamination of the prepared canal by a poor coronal seal and this is further complicated if incomplete debridement has taken place. 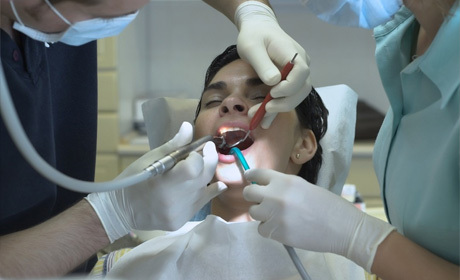 The treatment had indeed improved and specialist training is available but there appears to be a shortage of specialist dentists performing endodontics. The equipment used had improved and rotary instruments are routinely used. Canals can now be obturated using flowable filling materials which aid the achievability of a good coronal seal. All of these advances have improved prognosis but have also increased the cost of a root filling and when the cost of adding a restoration to the tooth is included then the price will be several hundred pounds. At the same time the cost of implant provision is falling and cheap dental implants are available with a better long term prognosis. More dentists are taking further training in implantology and as such the manpower is increasing in implant provision. 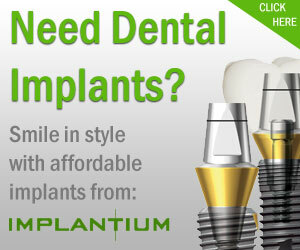 We are reaching the stage where it will be cheaper, quicker and easier to have an implant placed then a root filling. ← Smiling with relief: I finally have my adult teeth at the age of 28!